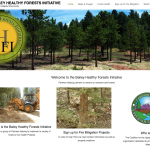 The Bailey Healthy Forests Initiative is a partnership between agencies, organizations, and individuals to improve the health of the forests near Bailey, CO and reduce wildfire risk in area communities. 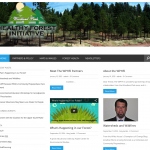 Learn more about forest health and sign up to get started with wildfire mitigation on your property at baileyhealthyforests.org. CUSP’s environmental education and service learning program combines quantifiable learning objectives with on-the-ground service projects that address critical environmental needs. Environmental education materials designed for elementary up through high school level are available for free with registration. Visit learn.uppersouthplatte.org to explore these resources and sign up for service-learning projects. 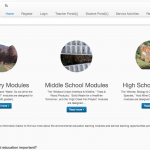 The interactive library is a database housing scientific articles and field monitoring data. The articles, reports, and studies in the article database are open to everyone. The article database is a searchable resource on topics within the Upper South Platte Watershed. The field monitoring database is open to registered partners only and contains a pilot uptake form for collection of field data. Registration is free and open to all qualified partners. The noxious weeds website provides information on common noxious weeds and how to eradicate and manage these invaders. The site also includes an interactive map where you can report and discover weed sightings. The Woodland Park Healthy Forest Initiative is a partnership of key stakeholders from the Woodland Park area, and it is a great opportunity for the community and surrounding area to join in the forest protection effort. The objective of the initiative is to thin the densely stocked forests surrounding the community in order to make the area more resilient to catastrophic wildfire. Visit www.wphfi.org to learn more and get involved.